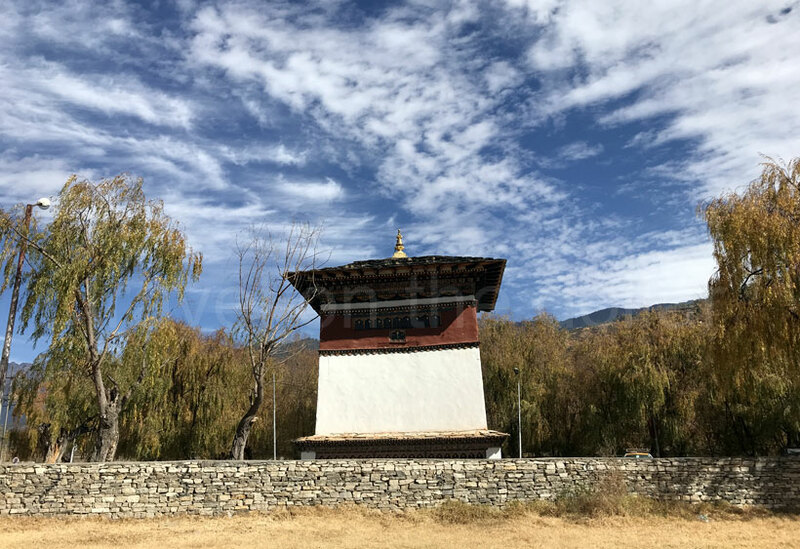 After inquiring about the public transport to Paro the previous day, I was told that there are two buses that go to Thimphu (but nothing to Paro) – 08:30 and 14:00, takes 3 hours and costs BTN 100 one-way. It was past 9:00 in the morning when I left the hotel in Khuruthang, so taking the 08:30 bus was out of question! 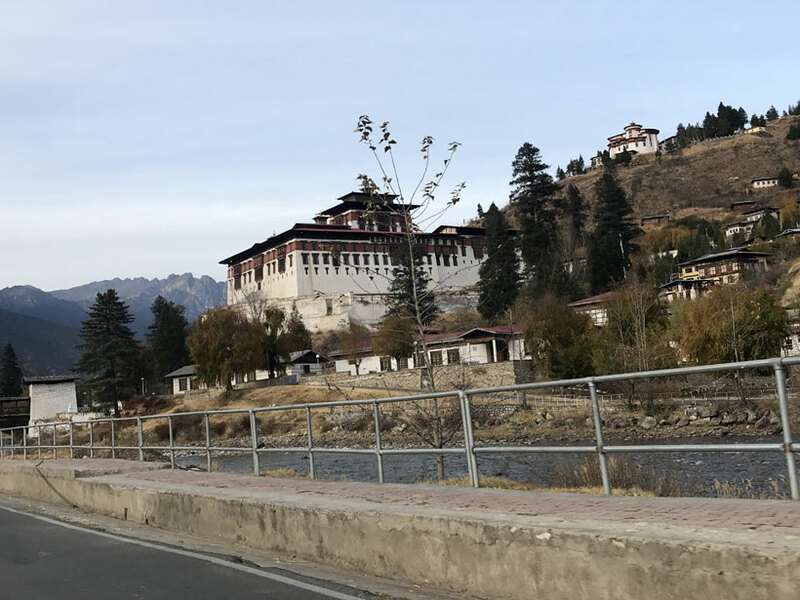 So I headed out to the taxi stand for a shared taxi to Thimphu (since no shared taxis go to Paro directly, only private taxis do and costs BTN 3500-3800 one-way). But first off was a quick stop to the post office to get the stamp in my Postal Stamps Travelogue book. There are a lot of shared taxis leaving to Thimphu until 5pm. It costs BTN 350 per person, and takes 2 hours to reach Thimphu. 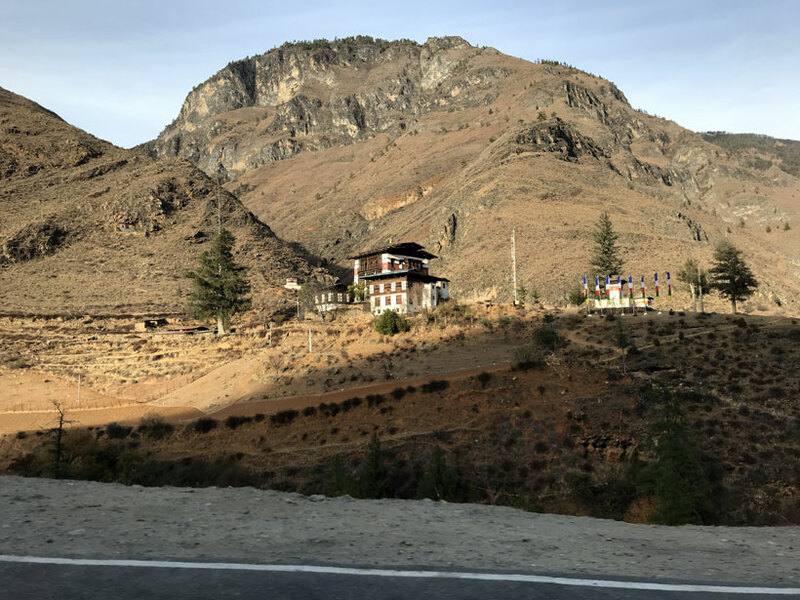 But our fellow passengers needed to be dropped to Lobesa, so we had to take a detour, which mean an extra one hour to reach Thimphu. 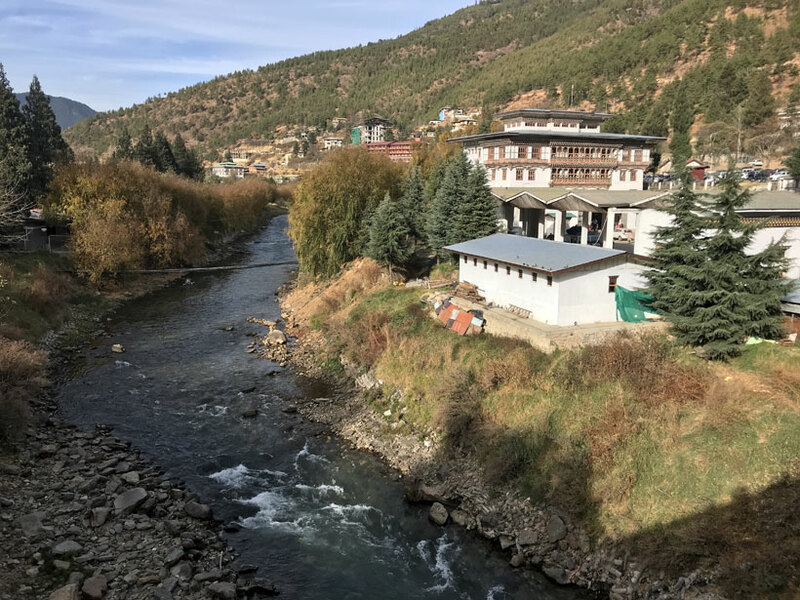 I reached Thimphu’s taxi stand at almost 12:30pm, so walked up to the center at a local restaurant for lunch, before heading back to the taxi stand for the next ride to Paro. 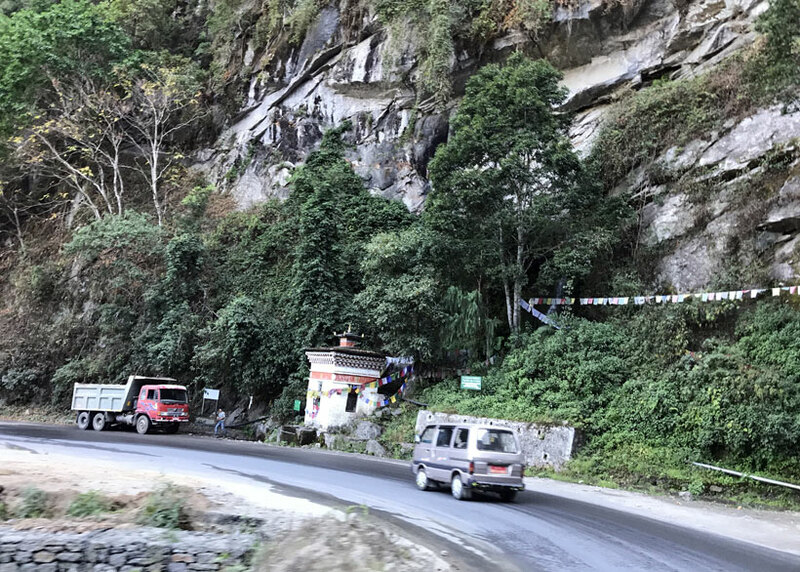 Ample taxis run all day from Thimphu to Paro & Phuentsholing. It costs BTN 250 per person, one way to Paro in a shared taxi and takes about 2 hours. After a few halts on the way, I reached Paro at around 4:30pm. Checked in to the hotel and went out for a walk along the main “tourist” street to the famous “Mountain Cafe”. 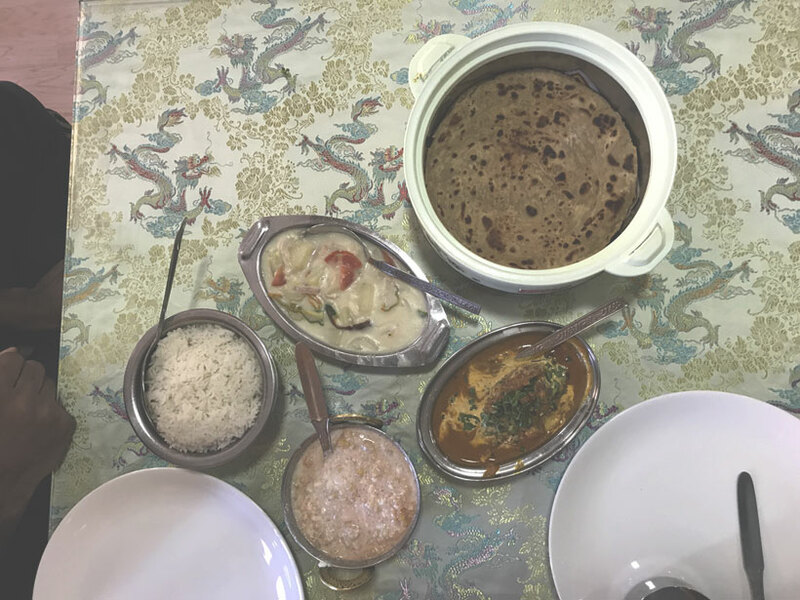 This is a great restaurant for India food, Bhutanese food and pasta or pizza. Although a bit expensive compared to other cafes and restaurants in Paro, it’s still a great place to hang out! It gets really cold in evening past sunset because of November weather, so I walked back to the hotel for a laid-back night. Coffee $0.35 BTN 25 at local restaurant. Taxi (Shared) $4.93 BTN 350 one-way from Khuruthang to Thimphu. Taxi (Shared) $3.52 BTN 250 one-way from Thimphu to Paro. Lunch at Thimphu $3.24 BTN 230. Dinner $4.50 BTN 320 at Mountain Cafe, Paro.